Many online casinos around the world accept credit cards as a deposit option, however in some countries or jurisdictions, credit card deposits can be a tricky proposition. This is especially the case in the US since the passing of the UIGEA legislation in 2006. This ruling made payments by financial institutions to gambling companies unlawful, and this has had two knock on effects. Firstly, some US based online casinos will not now accept credit cards as a deposit option. Secondly, a site may allow credit card deposits, but when you try and add funds to your casino account, you’ll find that the payment has been declined. In the following article you’ll see how to fund a casino with a credit card, some advice if your card is declined and examples of two of the best online casinos you’ll be able to fund with a credit card. If you want to make a credit card deposit at a new site, you’ll have to register with the site first. This will simply be a case of filling out a form with some basic details, including your name, address, e-mail address and phone number. Many sites require you to verify your e-mail address by clicking a link in an e-mail. The account now set up, you’ll be ready to deposit. Head to the cashier section of the site, and then click on the credit card you’ll be using. You’ll then be asked to enter the details on the card, including the card number (long number across the front), the expiry date and possibly the CVV number (the 3 digit number on the back to the right of your signature). The final piece of information you’ll be required to submit is the amount you’d like to deposit. If the payment goes through, the funds will be available in your casino account immediately. As stated earlier, it is not always that simple. If a card is declined through no fault of your own, then there are alternatives. The best option is to speak to one of the customer services team at the casino – the live chat (if they have it) is the quickest option, but you could phone or e-mail them. Some sites feature more than one payment processor, so you might find they’ll try your card on another processor and this time it actually works. Failing this, the customer services team might recommend another payment method. One recommendation might be e-wallet payment types, which you’ll be able to load with your credit card, and then use the e-wallet to fund your account. Obviously this is a slightly more lengthy process, but it does have the advantage that you could use the e-wallet for all of your gambling accounts, and not have to supply a number of casinos with your credit card details. In general, casino sites will be very helpful when you are attempting to fund your account, some sites actually having dedicated staff for just this area – a casino that doesn’t bring in money will fail, so this makes a lot of sense. 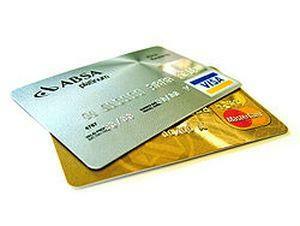 The biggest advantage of using a credit card at an online casino is the speed of the transaction. If accepted, you’ll be able to play with your loaded funds immediately. Having made a deposit already at a site, your credit card details will be stored, so for any further deposits you’ll only need to enter the amount, saving even more time. In general you’ll not be able to make a withdrawal back to a credit card. Sites will offer alternative methods – in the US a check is a popular withdrawal method. Whether or not you’ll be charged a fee for depositing with a credit card is site dependent, so check the payment pages of the site for details. You may also find that a credit card company makes further charges when depositing to a casino, so once again, check for details. A US friendly casino that accepts credit cards is Bovada. Bovada are one of the biggest names in gambling, with their offering of a sportsbook, a poker site, their race book and the casino. The casino features a great range of slots, table games and fun casino offerings. When joining the casino you’ll be able to take advantage of their generous welcome bonus package – with a total of eight deposit bonuses on offer totalling $3,000. 32 Red casino is a UK based casino that has already made a huge impact on the casino scene. This casino uses the powerful MicroGaming software suite, and for me are the best of any casino when it comes to looking after their loyal players. You can grab £32 for every £20 you deposit – check out www.32red.com for yourself to see the latest offers.